– BUT – the province of Malaga along the Costa del Sol is currently the only region in whole Spain where the bottom line of the price drops and even a slight increase in certain areas has been registered at the end of 2014. At least a 30% increase of property values during the next 5 years are being expected by most experts! This means “shopping paradise” for international investors – and also: The race for the best deals is on! Miravision is in direct contact with most of the owners and developers to ensure an efficient communication and to be able to provide our clients with high quality information first-hand. Our collaborator´s network consists of carefully selected specialists only with high reputation in the business areas of real estate investment consulting, joint venture capital, private equity, development project management, bank finance, legacy and licensing, planning and construction. • Service – For over 40 years, Spain has excelled in providing non-residents with the same level of services and quality that they experience in their native country. 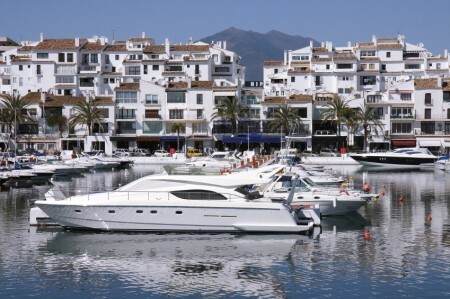 The Spanish Costa’s cater for Northern Europeans unlike other overseas locations. • Tourism – Spain continues to be the number 1 destination for European holiday makers and is now leading the residential tourism market. A major initiative to attract cruise ship tourists has been undertaken for example with the redevelopment of Malaga port. Also the construction of the largest beach promenade in Spain to connect all beachside towns and villages on the Costa del Sol has already begun. • Infrastructure – Excellent network of motorways, new high speed train service to Madrid & Barcelona and a € 730 million expansion to the regional airport in Malaga which now connects over 60 countries worldwide. Railway extensions along the coast are planned to connect all coastal towns directly. • Planning & Legislation – Former issues arising from corruption within the local town halls are being comprehensively dealt with by the new and revised planning guidelines and strict legal observations. • Climate – The Costa del Sol has the best climate in the whole of Europe, with an incredible 325 days of sunshine each year and with plenty of the famous “microclimate” spots due to the high mountains in the back. • Culture – Andalusia has got a huge range of historical and modern cultural highlights. People can find uncountable castles as quiet witnesses of centuries with arabic and roman influence. Museums and Theaters can be found in nearly every small town as well as the local “Ferias” – the annual town and village festivals with live acts, flamenco shows and traditional spanish food and wine. The famous easter processions attract millions of tourists every year. • A fast growing leisure and sports industry comprising of golf, tennis, football, horse-, motor- and water sports and adventure tourism has fueled the local economy and the governments are prioritizing permissions and subventions for developments and investments which include cultural or sportive elements.